2 Names of sub-divisions including Sadar:It is a Metropolitan City without any sub-division. The name of the city of Calcutta is associated with the evolution of Justice delivery system in the country. Transformation of the British Mercantile Company (East India Company) into spectra of the British Raj. The Sadar Dewani Adalat and Sadat Nijamat Adalat were located in Ford Street when the Chief Justice of this Court's used to live in a house in the center of Museum Compound. Subsequently, the Sadar Courts were shifted to a Fine Pile with Colonnaded for Frontage and of great length, next to the Presidency General Hospital. This Presidency General Hospital was build as a Hospital for the sick of the Regiment in the Fort, and was most admirably planned for the purpose; but, no sooner than it was completed, Lord William Bentinck appropriated it for the Sadar Court. The Sadar Courts were replaced by Mayor's Courts. The first Mayor's Court was established in the Presidency Town of Calcutta in 1728 and it started functioning at the Ambassador House belonging to the East India Company and stood at the corner of Lalbazar and Mission Row. The site of which presently occupied by Martin Burn and Company's Building. Then the Mayor's Court moved to the premises of Charity School in 1732. This two storied building occupied the site of St. Andrew's Church by the side of the present Writers' Buildings. This building also served as the Town Hall of Calcutta. Subsequently, Mayor's Court was abolished and the Supreme Court of Judicature at Fort William wass established on 26th MArch, 1774 in pursuance of the Regulatng Act of 1773. The Mayor's Court at Calcutta transferred all proceedings, pending before it, to the Supreme Court of Judicature. Just as the High Court arose from the asses of the Supreme Court of judicature at Calcutta, so did the new edifice for the Calcutta High Court. Present High Court's building occupied the side of the Old Supreme Court house, which stood upon the West portion only, in addition to the sides of the three other houses of Longueville Clerk, William Macpherson and Sir William Colville. Foundation stone of the building of the Calcutta High Court was laid in 1864 and completed in May 1872. It was designed by Walter Granville, Government Architect, It was a replica of the Town Hall of Ybres with such modification as were necessary to adopt it to the purpose for which it was copied. It was in the best gothic style of architecture, and was faced with stone. The lower story of the south front had a grand colonnade, the capitals of the pillars were of caen-stone, beautifully cultured, each one being of a different design. The centenary building of the High Court was inaugurated on 2nd April, 1977. The High Court buildings, Metropolitan Buildings are considred to be the heritage buildings of the city. There are three (3) buildings in the Bankshall Court Complex. Two buildings are very old having heritage. In between the said two buildings a new multistoried building was constructed. It is known as Bichar Bhawan. 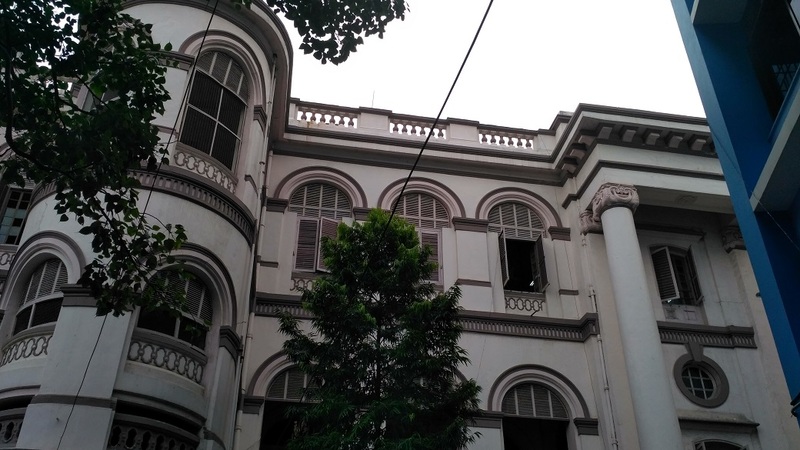 The Courts of Chief Metropolitan Magistrate, Additional Chief Metropolitan Magistrate and 15 Metropolitan Magistrates are functioning in the said two old buildings which are situated at 2&3, Bankshall Street, Calcutta. The Court of the Chief Judge, City Sessions Court; Sessions Judge (NDPS Act), City Sessions Court, Calcutta; Special (CBI) Court and Nine (9) Fast Track Courts, Calcutta are functioning at 2&3, Bankshall Street, Calcutta. The buildings situated at 2&3, Bankshall Street where the Bankshall Courts are functioning, were inaugurated in the year 1915. The Fast Track Courts, Calcutta started functioning at Bichar Bhawan on and from 15.03.2003 and after bifurcation of City Civil & Sessions Court, Calcutta, City Sessions Court Court started functioning at Bichar Bhawan on and from 11.08.2005. A proposal has already been made to the Principal Secretary to the Government of West Bengal, Judicial Department, Calcutta vide this office letter No. 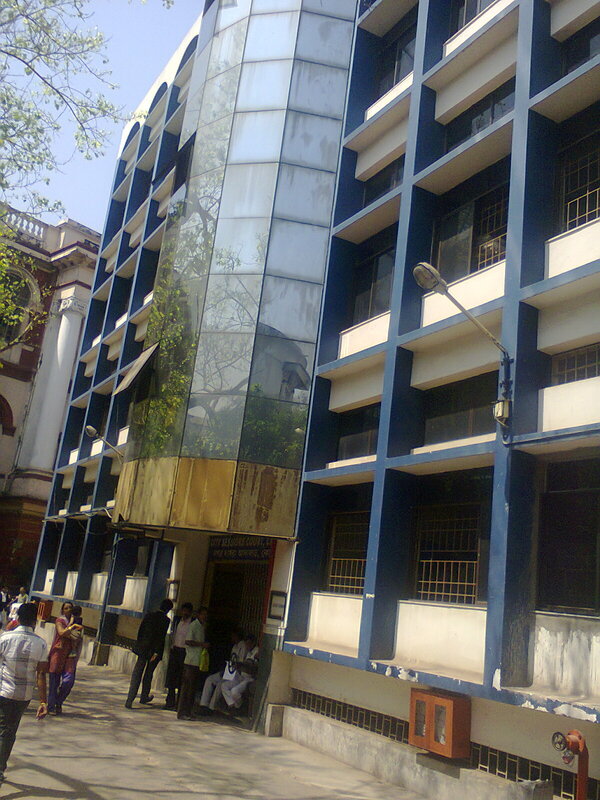 2316-S dated 14.09.2010 for raising additional one storey on the existing building of Bichar Bhawan by way of vertical extension so that four Courts of Municipal Magistrates including one Court of Senior Municipal Magistrate, Calcutta, now located in a rented accommodation on the 5tn floor of HUDCO Building, 15N, Nellie Sengupta Sarani, Calcutta - 87 can be brought to Bichar Bhawan in the Bankshall Court Complex. The matter has also been intimated to the Registrar General, Member Secretary, State Monitoring Commitee, High Court, Calcutta under this office letter No. 2745-S dated 23.11.2010. It has been ascertained from PWD (Civil) that Rs. 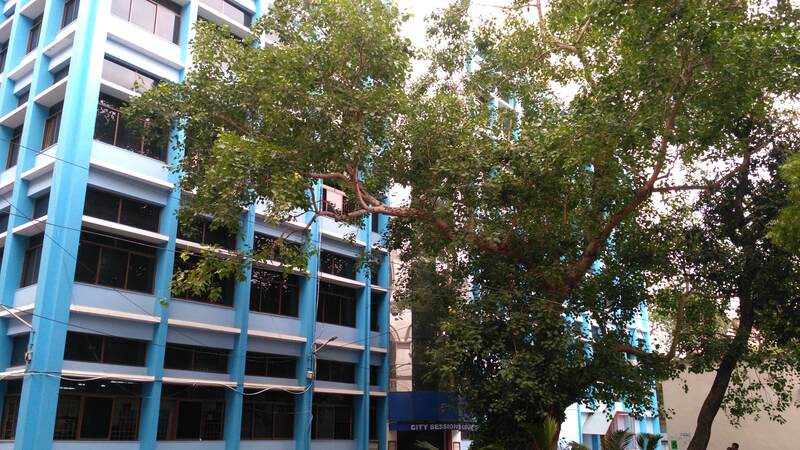 1.6 crores (approximate) is required for raising such additional one storey on the existing building by way of vertical extension of Bichar Bhawan. 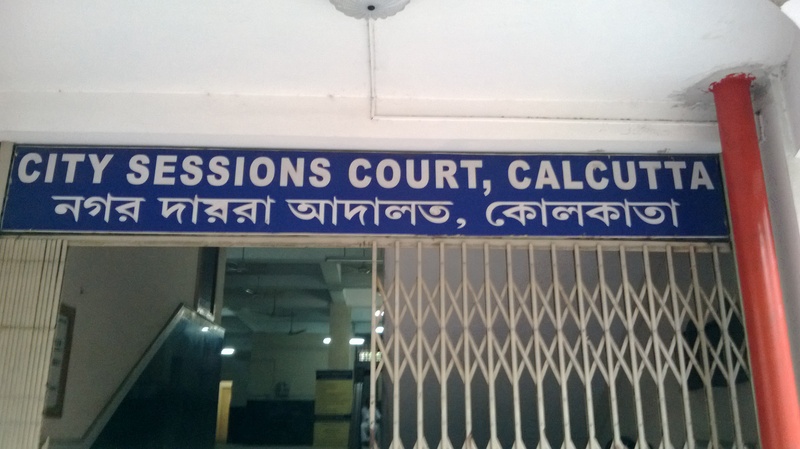 Four Courts of the Municipal Magistrate including the Court of Senior Municipal Magistrate are now functioning in a rented accommodation situated on the 5th floor of HUDCO Building at 15N, Nellie Sengupta Sarani, Calcutta - 87. There are no quarters / residential accommodation for the Judicial Officers posted in this Judgeship. No proposal was ever made for construction of judicial quarters for the officers of this Judgeship till this date. The Judicial Officers posted here having no residence of their own, used to be accommodated in the Government Housing Complex. No Judicial Officer posted here has ever expressed any difficulty with regard to his residential accommodation. It is further stated that in the Sessions Division of Calcutta District, 31 officers are now posted. Of them 5 officers are occupying flat in the Govt. Housing Estate, 13 officers are residing in their own houses and 13 officers are residing in private rental accommodation and 7 Courts are now lying vacant.